There is a phrase in online marketing that “Content is King” of the web. One can see this is true simply by looking at a top search result in Google or by viewing an industry leader in any market or space. The content on your website is the heart of your online business strategy and plays a critical role in developing integrated campaigns across other marketing channels, such as Social Media or Email Marketing. Developing great content starts with understading your customer’s and audience’s business needs and how our product or company can help them. AdAdKings Agency we create and design a strategy that helps bring your company’s message and image to life. We work with your brand either optimizing your existing content or we can build you a custom plan and target strategy for any additional writing and content needed for the campaign or website. Today savvy consumers conduct research online before ever buying the product this means that content is more important than ever. We have a team of talented writers and strategists who work with your business to create unique value propositions that will enhance your customer’s website experience and ultimately help influence their web behavior. 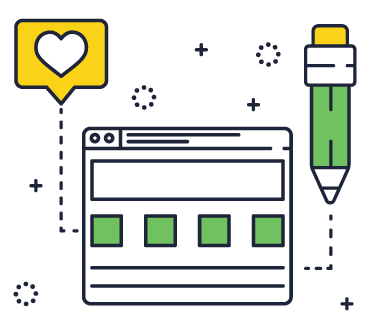 By creating unique content consistently on your website and around the web your business will build a strong web authority and presence leading to trust with consumers and customers. This content can be via blog posts, articles, email campaigns, social media, videos, case studies, webinars, datasheets, infographics, use cases, testimonials and more. Let AdKings help you build a content strategy that truly speaks to your audience.